One of the major challenges merchants face today is finding talented people who will fit-in with your ethos and produce results. This is especially the case with managers. In order to survive, develop, and grow, your business needs good managers; managers who are committed, skilled, and well-qualified. But where do you find such people? You could recruit externally of course, but this is extremely time-consuming, costly, and potentially risky. Why not look internally instead and develop the talent you already have? The BMF Diploma in Merchant Management aims to help you do exactly that! Upon successful completion attendees will not only have shown a commitment to their continuous professional development but they will also be far better prepared to manage the business. They will have been exposed to modern managerial thinking and attitudes. They will have considered what they need to do to develop themselves further. 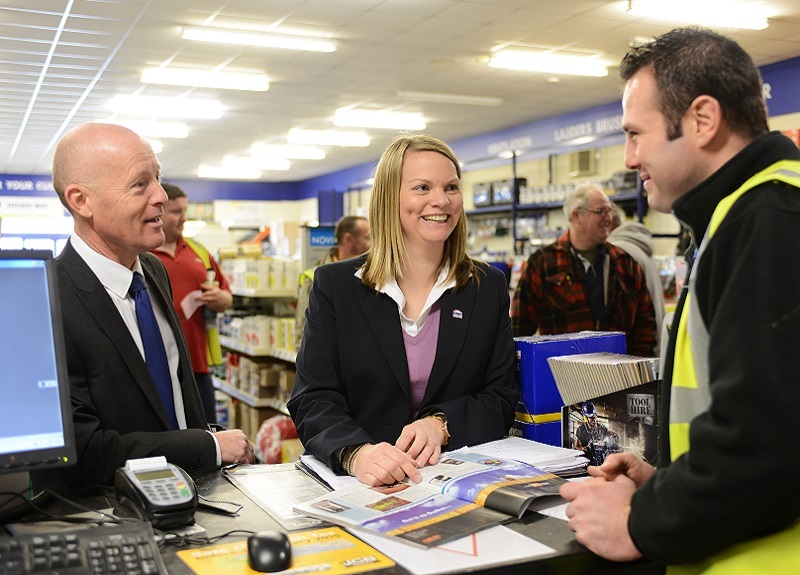 They will also have shared ideas directly with other managers from within the builders’ merchant industry. Above all though they will be better equipped to manage your business. Absolutely! The BMF Diploma in Merchant Management is designed from the ground up to be relevant to managers and supervisors working in the builders’ merchant industry. The Diploma is open to all, but is especially relevant to existing managers and supervisors (or those who aspire to undertake these roles). The BMF Diploma in Merchant Management comprises nine ‘Learning Modules’. Successful completion of the first three Modules leads to the award of a Certificate, whilst completion of all nine Modules earns the full Diploma. Each Module is supported by distance-learning materials followed by a practical tutor-led ‘Workshop’. Individual progress is assessed via nine written papers and also during activities undertaken at the Workshops.Each paper poses questions relating to the subjects covered in a Learning Module and is designed to test understanding of the key concepts. Each workshop will involve practical activities which will be assessed by the tutor. In order to complete an assessment, attendees will need to draw upon what they have learnt and also their personal experiences at work. In so doing they will demonstrate an understanding of current management thinking and attitudes. The BMF Diploma in Merchant Management is approved by the BMF as a programme of study relevant to the industry. It is also accredited by the CPD Certification Service so contributes to continuing professional development.By successfully completing the programme participants will have gained a valuable understanding of modern management principles and will have shown a commitment to develop themselves. They will have the confidence to apply their knowledge and skills to running a branch both more effectively and more efficiently.